Boston Red Sox ace Chris Sale was admitted to hospital with a stomach illness on Sunday and is being kept overnight for observation. Sale started on Saturday in the opener of the Red Sox's American League Championship Series (ALCS) against the Houston Astros. 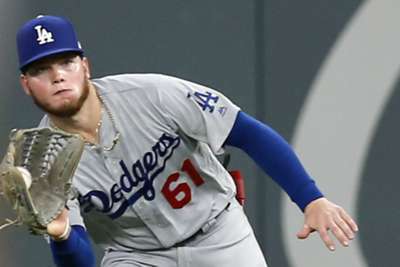 He allowed two runs and walked four in Boston's 7-2 loss. 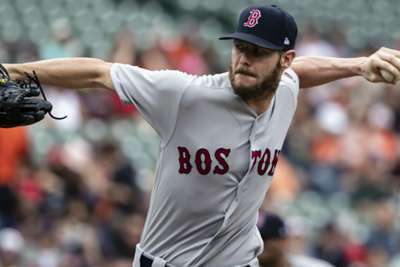 The 29-year-old left-hander allowed two runs and struck out nine over 6.1 innings in the Red Sox's four-game American League Division Series (ALDS) win over the New York Yankees. Sale dealt with shoulder inflammation during the regular season, but still finished with a 12-4 record and a 2.11 ERA in 27 starts. He tallied 237 strikeouts and walked 34 in 158 innings. Sale spent his first seven seasons with the Chicago White Sox before he was traded to Boston in December 2016. He has made the last seven All-Star teams.